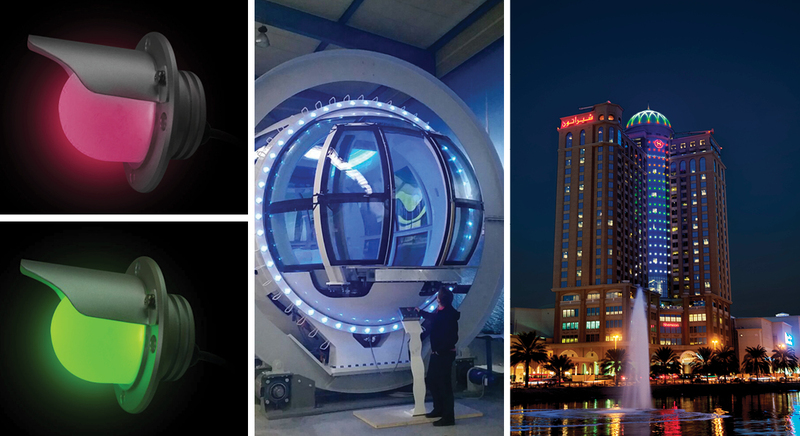 illumination Physics has been a pioneer in the design of LED pixels and dots as well as linear direct view luminaires that can be grouped and programmed to display graphics. Our initial focus was the creation of extremely durable and reliable LED pixels because of the prohibitive difficulty and cost of maintenance of a media wall on a tall building. More than a decade ago we created light fixtures that contained no electronics inside them, powered by remote drivers. In this format, the lifetime of the LED fixture is 50-70 thousand hours and the hype was actually true. A very significant side benefit was that such fixtures, freed of temperature sensitive electronics, could safely operate at 75 degrees Celsius (not just 45 degrees) — a common façade temperature in the summer months in the Gulf. Over the years, the media walls we built became larger and more spectacular. 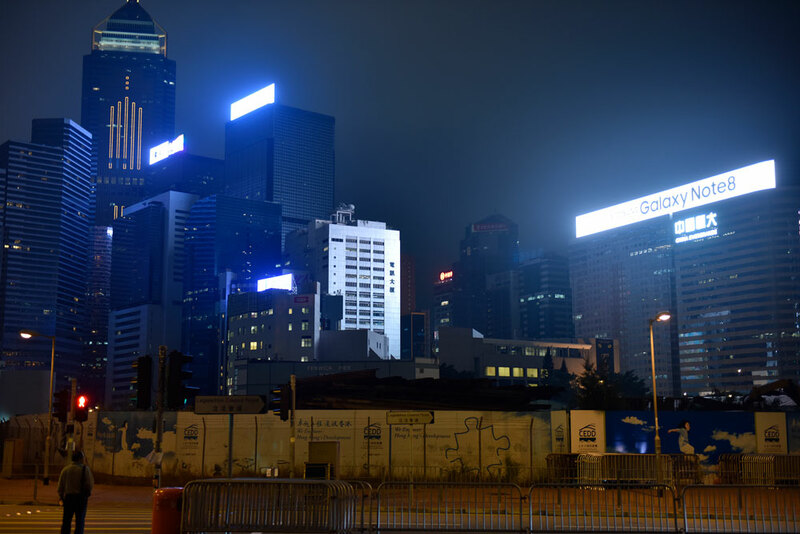 The problems with stray light trespass and sky-glow, although small compared with the massive video walls we see in Asia, were becoming increasingly significant. In 2005 we produced an LED Dot that included a light baffle (snoot) to prevent light escaping vertically. In truth, the motivation for the Dubai Sheraton was to eliminate glare for the hotel guests. The social benefit is that the contribution to sky –glow is mitigated. Media wall pixels are rarely viewed from above so why allow light to escape vertically when it can be avoided? The avoidance of light pollution in all its forms is not only responsible design and more effective in the context of a cityscape, it is also increasingly regulated. illumination Physics has been the first mover in reaction and created many variants of the LED pixel with light baffles. Generally in the market, this type of light fixture does not have any design feature to mitigate the upward escape of unhelpful light. illumination Physics is leading the way. Media wall light fixtures and LED ‘Dots’ are almost always mounted flush or at 90 degrees to a building’s façade. To further illuminate unwanted light escape, illumination Physics has now created a range of LED Dots that can be aimed. This means that the Dot can be focussed below the horizon or away from sensitive areas neighbouring the building upon which they are installed. Another step forward from illumination Physics.